A good friend came up for the weekend, providing an opportunity to prepare some rustic meals. Being on my own means I’m sometimes a little lazy cooking for myself and look forward to taking an extra step when I have visitors. I should entertain more here and also be a little more adventurous with my meals. Anyway, it’s just starting to chill a little here in the mornings and nights so warming food is welcome. Pumpkin soup and homemade bread always goes down well and is easy to get on the table with minimum fuss. Making a big batch means I can have my own portions from the freezer any night (especially if I’m out in the garden until dark falls). I haven’t made apple pie for ages so this was a good chance. Maybe next time I’ll scale down the pie dish from enormous size to something more practical for two. I like to have yoghurt and homemade bread here for guests and this time I also extended to ricotta, all of which are super easy. 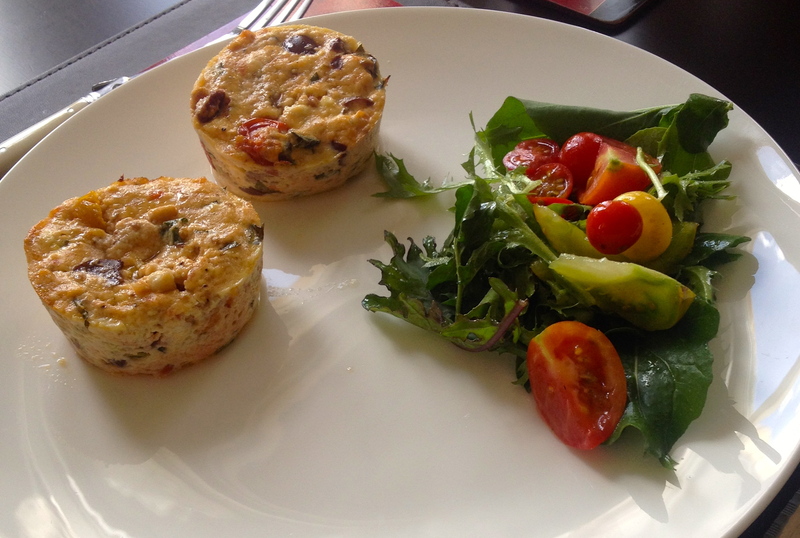 The ricotta turned itself into baked ricotta after adding eggs, parmesan, semidried tomatoes (homemade, of course), olives and fresh garden basil. A salad of garden veg rounded off the meal. We finished with more apple pie and ice-cream, topped with homemade strawberry syrup (again using Convent strawberries). All in all, a satisfying culinary weekend. I’m keen to extend my cheese repertoire in practice for our next cheese making class. 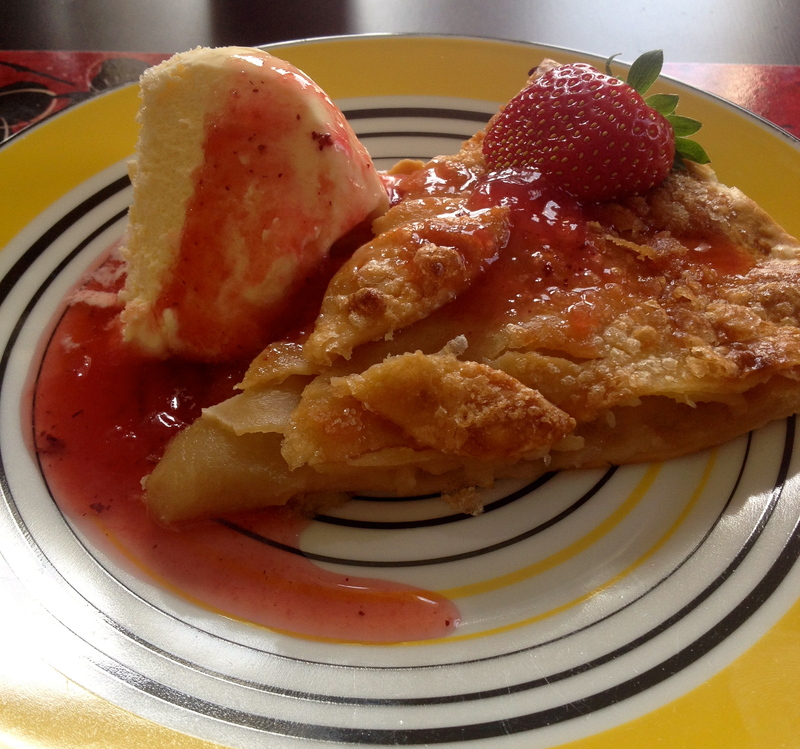 Apple pie with homemade strawberry syrup – because the apple pie wasn’t sweet enough?! ?